Europe has been a dream destination for many but the process to go to Europe is what makes many to put off their plans. Visa worries, booking in advance, research all that work becomes a thing of tension and over to that paying unnecessary money to the travel agents what hurts the most. So everyone thinks its too hard to plan for a Europe trip, which is actually not. It is not at all difficult to plan your Europe holiday on your own and say goodbye to all the travel agents, who are just there to mint money. Traveling to Europe in a budget is the most feasible and doable thing to do. All you have to do is plan in advance and a bit of research will make everything fall in place. The fear of getting Visa rejections always lurks in the mind, so to make you completely free of all the worries. 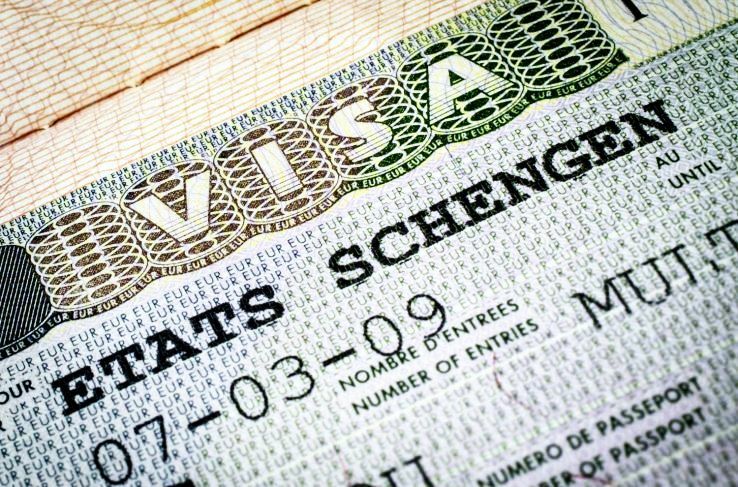 We have some tips to get Schengen Visa on your Indian Passport, without any help from travel agents. The countries issuing Schengen visas are Austria, Belgium, the Czech Republic, Denmark, Estonia, Finland, France, Germany, Greece, Hungary, Iceland, Italy, Latvia, Liechtenstein, Lithuania, Luxembourg, Malta, the Netherlands, Norway, Poland, Portugal, Slovakia, Slovenia, Spain, Sweden, and Switzerland. -Before applying for Visa, you have to book all your air tickets, intercity traveling means, hotels, intracity-traveling means, should be booked make sure to book everything, which is refundable at the moment of cancellations or changes. -Plan your trip 3-4 months before you want to go, take a map and design your itinerary as per your desire, but try to choose cities, which are interconnected as this will save a lot of time and money in traveling. -Book your tickets for the landing city and for, which you will apply for the visa as well. For booking tickets in a budget it's always asked for to do a good research on two-three websites, put in permutations and combinations, keep changing dates and that’s how you can grab the best deals. -Once your cities are decided and tickets are booked, look for hotels in those areas you want to stay in- keep in mind regarding the connectivity of hotels with metro stations, bus stops, and airport. Take the help of the google maps, put in your destinations you want to cover in the specific city and distance from your hotel. Choosing the hotels near public transport saves time and money. -Now that hotels are booked, the question comes how you are going to travel to another city is it by bus, train or flight? Well, the cheapest and feasible option is to travel by bus within 10-15 Euros you can travel to one city from another, whereas trains will be super expensive. Flights are also a good option, but keep in mind your baggage weight. As it might cost you double your ticket if you are carrying extra baggage. So book your intra-city mode of transport, while keeping in mind these things. -What all documents will be required? Maintaining a good account balance 2-3 months before would be a great thing to do. Collect all your bank documents, with a stamp on it, which includes a six-month bank statement, account balance details. -Take no objection certificate from your office, if you are working that helps a lot in not getting any rejections. -Keep Marriage certificate copy with all your documents if you are married. - Go to an insurance company and get the travel insurance, basic one for the trip. -Take the print out of all your documents do the self-attestation, go through all of them once to make sure everything is correct. -Now book an appointment with a VFS center, and submit all your documents on the appointment day and these you give digital fingerprint at the center. All left to do is Hope for the best and start your packing!